Almost all food products today are produced industrially. This requires a lot of knowledge. Technical food specialists must be familiar with raw materials, recipes, machines and the final product. It is a multi-faceted and responsible profession. Most of the modern food products are made on large industrial lines. This means that a technical food specialist must have technical understanding and skills. He or she does not only have to set up and maintain the machine but also control and monitor the production processes. Therefore, physics and mechanics are on the curriculum as are environmental protection and packaging technology. Microbiology and food chemistry are important parts of the training as well because food products are different from other industrial goods. Their raw materials are natural and never completely identical. In order to be able to adjust a line to the optimal parameters, technical food specialists must know the effect that deviations may have on the final product. This is important for producing the right quality. By the way, controlling the right quality is also one of the tasks of food technicians. 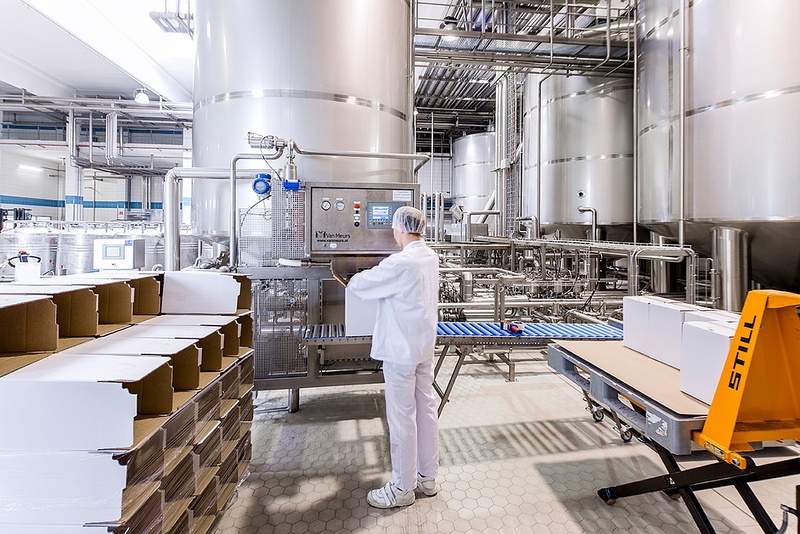 During the apprenticeship, technical food specialists learn how to produce various food products: from the processing of milk to the production of confectionery products and beverages. In this way, they gain experience that can be applied in many areas. Technical food specialists are in high demand. After completion of their apprenticeship many opportunities for a good and varied job are available. Secondary school qualification with good grades in natural sciences (maths, biology and chemistry). Suitable applicants are selected after the conclusion of personal interviews. The vocational training takes place within the scope of a dual system; this means in the company and the vocational school. Education at the vocational school takes place in lesson blocks. Following their final exams and a year of experience on the job, technical food specialists may continue their education to become an industrial master craftsman for food or a food technician. If you have a high school graduation (Abitur/Fachhochschulreife) you can also study food chemistry or food technology for example.